Gordon King has contributed an artwork to Status Quo's 'Pictures' Auction, which is taking place on November 5th at Bonhams in London. Proceeds of the sale will go to The Prince's Trust. A press release about the auction can be read here. 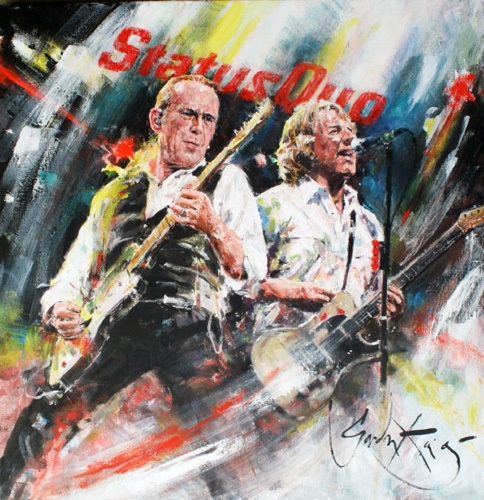 Full details of the sale and images of the artwork can be found at Status Quo's site and at The Princes Trust site. Online bidding is available exclusively on The Prince's Trust website.